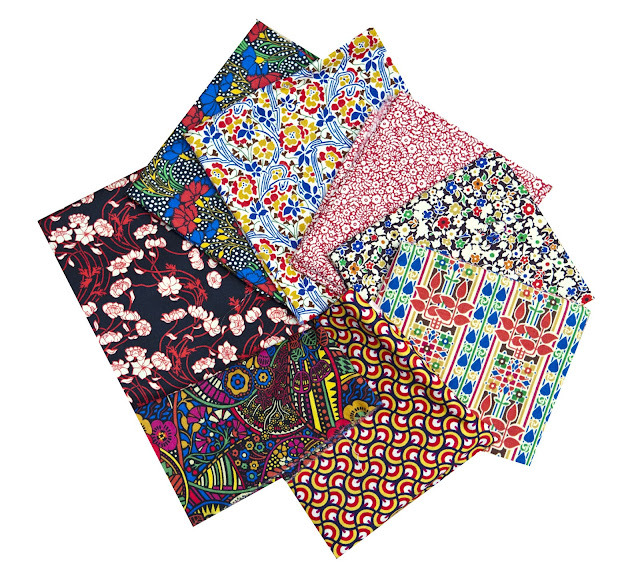 Thank you so much for your kind words on my Liberty quilts and as promised in my last blog post here an introduction to 'Stile', the new Liberty life style collection. The new collection is inspired by the Art Nouveau Movement and more specifically by Charles Rennie Mackintosh who was a Scottish architect and watercolourist (1868 - 1928). Liberty's influence on the art nouveau movement was such that it was called 'Stile Liberty' in Italy and this inspired the name for the new collection. 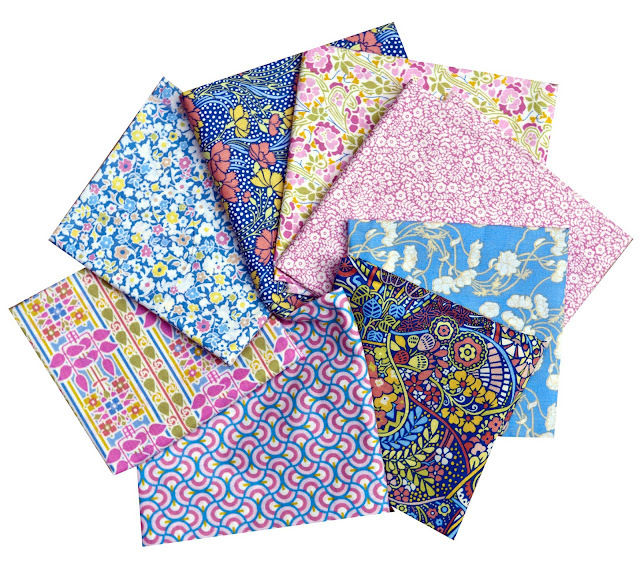 A few months ago the LMQG had the privilege of meeting Sholto Drumlanrig at Liberty headquarters who designed 'Bloomsbury' and the new 'Stile' collection. He explained to us the process of designing for Liberties. Often the design process starts in the vast Liberty archive. For the 'Stile' collection he found some wonderful designs that were the starting point for this collection. The search was broadened with a trip to Glasgow where a lot of the architectural work of Charles Rennie Mackintosh can be found. This research let to the design of new prints and the result is a fantastic collection of prints that wonderfully represent the art nouveau movement with a touch of modernity to it. 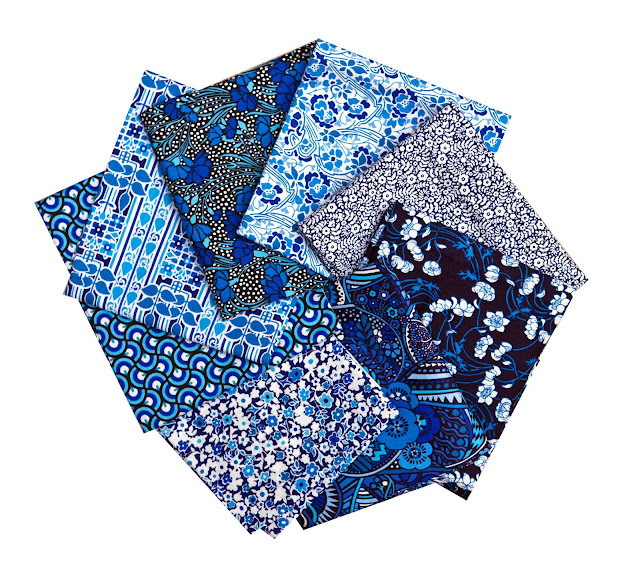 The collection comes in four colourways and each consists of eight different prints. My personal favorite is the blue one above. It reminds me somehow of old dutch ceramic tiles. This collection has something for every taste when it comes to pattern and colour. And for those brown phobic people I am happy to say that even in the more earthy colourway there is hardly any brown at all. In fact the darker shades are black and almost black. I have singled out a few prints that I are particular stunning. 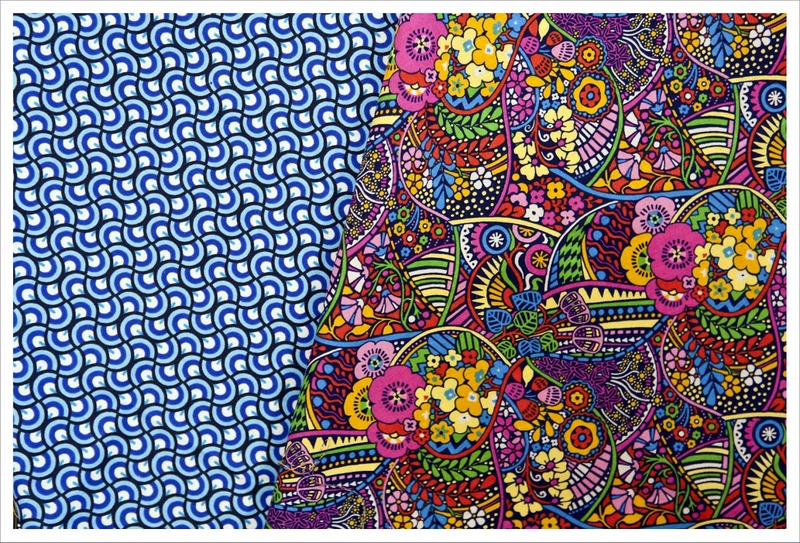 The blue print to the left is just so fabulously retro and of course comes in all colourways. 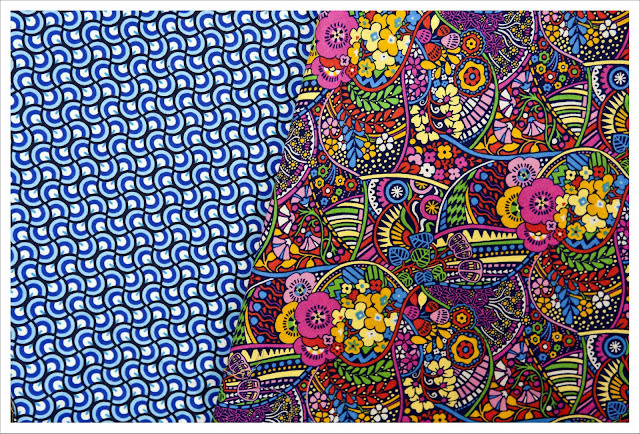 I used this print for the binding on each of the quilts I made for Quilt Market. And the colourful explosion of flowers and leaves next to it lets my thoughts wonder of to a tropical rainforest. But the most luscious of them all has got to be the white and red flowers on black background to the right on the image above. Yes you read correctly, it is a black background. We don't find this to often with quilting cottons, though a bit more now as background for text prints. 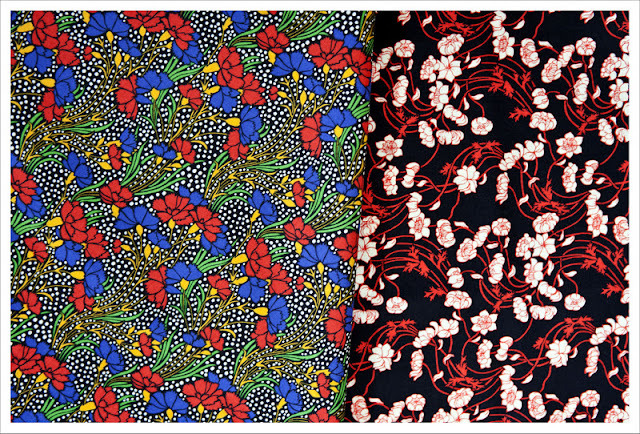 The print to the left got into my favorite selection because I think it is just exquisite how the blue and red flowers are draped onto the black/white pearly background. 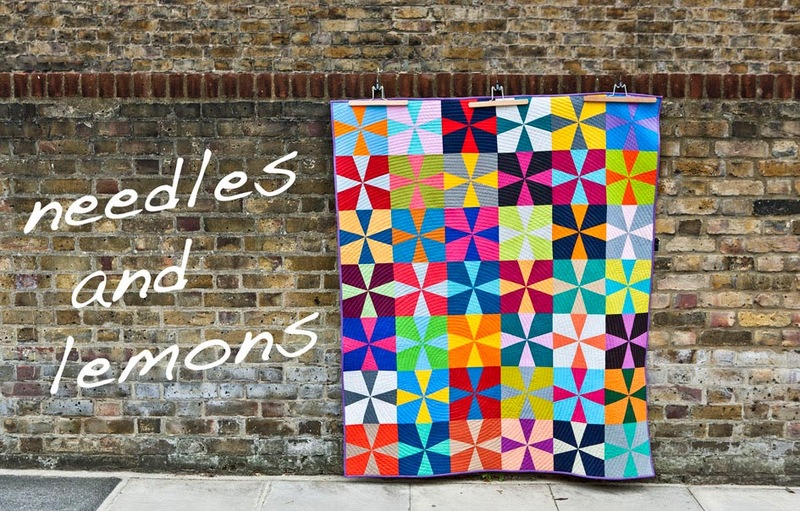 I will run a giveaway of two fat eighth bundles of this gorgeous fabric next week ! So stay tuned. Thanks for the mini Liberty education! 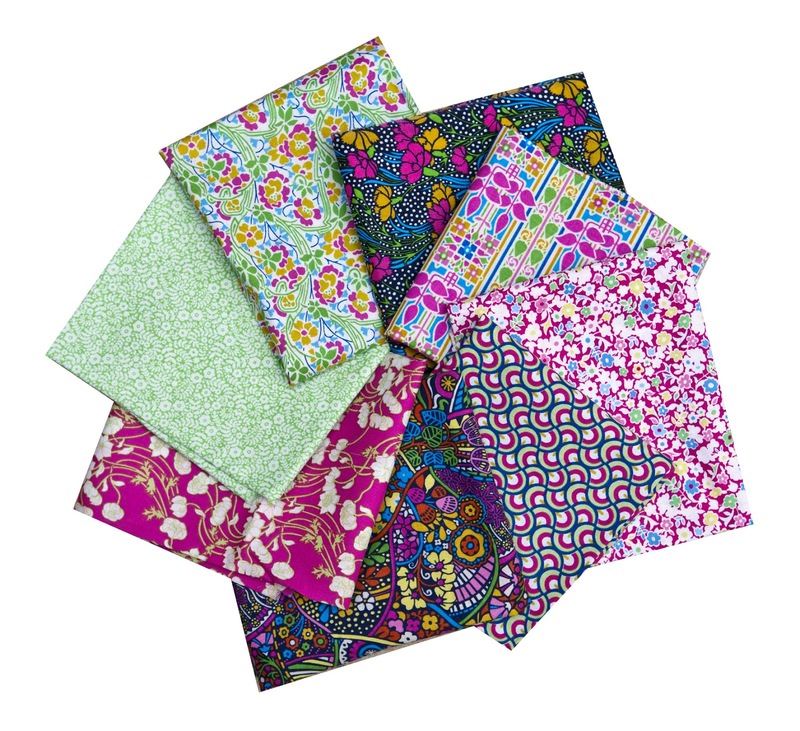 I adore Liberty, and your leaf quilts ARE gorgeous! They are beautiful! Thank you for sharing them, I love the Bloomsbury Gardens prints just out but I love these even more! I agree, I like the blues best, but, all are pretty.